See that picture up there? The girl in the purple cheongsam wielding the double-bladed lightsaber? 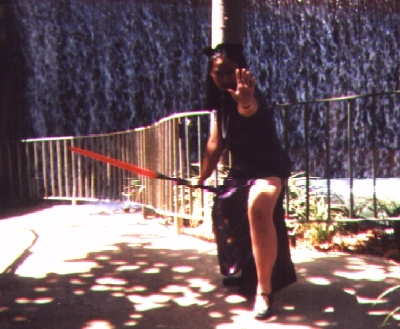 That’s me as Darth Shampoo—an irreverent take on a character from the Ranma 1/2 franchise—the first cosplay costume I would ever do. That picture was taken during the second Anime Expo I ever attended back in 2000; since then, while I’ve worn outlandish outfits to conventions, I’ve only cosplayed one other time at an anime or other genre convention. However, I’ve always appreciated the art and artistry of people who do choose to go to conventions and dress up as their favorite characters for an entire weekend. In the several years since I started going to genre conventions, I’ve watched the fandom cosplay community grow and change in part due to the Internet and rise of dedicated forums and social media as well as the change in conventions themselves. Nowadays, instead of waking up and hoping to see your picture in the galleries of the now defunct A Fan’s View website run by Kevin Lillard, a cosplayer attending a convention can hope that their picture made it into cosplay galleries of national media outlets like Business Insider, websites for internationally funded cable channels like BBC America, or even your local Fox affiliate station such as this one in Salt Lake City, Utah. Cosplayer decides to attend a convention and plans a costume. Cosplayer goes shopping for materials for the costume and plans its design. Cosplayer has various difficulties with making the costume (with or without help from friends and/or significant others). 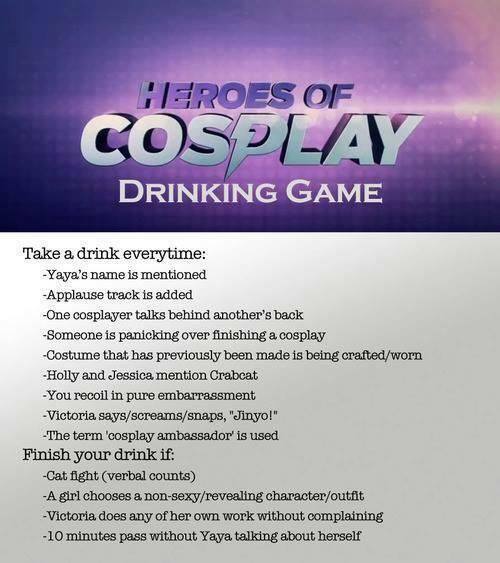 Cosplayer goes to convention with or without a finished costume along with a voiceover “announcing” their arrival; attendees gush over the costume and take many pictures. If costume isn’t finished, cosplayer attempts to finish costume: Will they succeed? Masquerade contest is over: Who will win the cash prize? Interspersed with taped interview segments and tons of B-roll from Anime Expo 2013—seriously, anyone who’s been to the Los Angeles Convention Center knows what it looks like!—viewers could watch all the drama that comes with the cosplaying world take place at five genre conventions across the U.S. ranging from Wizard World Portland in Oregon on the West Coast all the way to MegaCon in Orlando, Florida in the East. When episodes started to air, there was a great uproar from the cosplay community and other geek-adjacent media venues. Amid the outcry that the show wasn’t really representative of the experiences of the majority of the people who cosplay and parts of it were staged and/or manipulated by the producers, there was also the charge that the show just wasn’t that good. Which made me wonder: If I had the crew, the budget, and the opportunity, what would I do to make the upcoming second series of “Heroes of Cosplay” better?